The bargain was struck, the price paid, the buyers were impatient to finish the transaction. They had said "before the Feast day." (John 13:1) The great feast day of the Passover fell on a Saturday and this was Thursday. Jesus had but one more day of freedom, the last day. Before leaving His friends, those who were to abandon Him that night, He wished once more to dip His bread in the same platter with them. Before the Syrian soldiery should have spit upon Him, before He should be defiled by the Jewish filth, He wished to kneel down and wash the feet of those who until the day of their death were to travel all the roads of the earth to tell the story of His death. Before the blood dropped from His hands, His feet, His chest, He wished to give the first fruits to those who were to be one soul with Him until the end. 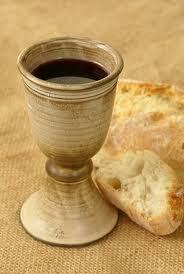 Before suffering thirst, nailed upon the cross, He wished to drink a cup of wine with His companions. This last evening before His death was to be like an anticipation of the banquet of the Kingdom. The Son of Man, poorer than the foxes, had no home of His own. (Matt. 8:20; Luke 9:58) He had left His home in Nazareth forever. The prosperity gospel does not fit the lifestyle and teaching that He lived. The home of Simon of Capernaum, which had been in the early days like His own, was far away; and the home of Mary and Martha in Bethany, where He was almost Master, was too far outside the city. He had only enemies in Jerusalem or shame-faced friends: Joseph of Arimathea was to receive Him as his guest only the next evening, in the dark cave, the banquet-hall of worms. It has been believed that the master of that house was a friend of Jesus and that they had arranged this beforehand. But that cannot be. Jesus would have sent the two Disciples straight to him, giving his name, and would not have had re­course to the following of the man with the pitcher. With the setting of the sun, the other ten came with Jesus and placed themselves around the table, now in readiness. All were silent as if heavy-hearted with a foreboding which they were afraid to see reflected in their companions' eyes. They remembered the supper in Simon's house, almost depressing, the odor of the nard, the woman and her endless weeping, and Christ's words on that evening, and His words of those last days; the repeated warnings of shame and of the end; the signs of hatred increasing about them, and the indications, now very plain, of the conspiracy, which with all its torches was about to come out from the darkness. But two of them—for opposite reasons—were more op­pressed, more moved than the others: the two for whom this was the last of their lives, the two who were about to die: Christ and Judas, the one sold and the seller; the Son of God and the abortion of Satan. Judas had finished his bargain, he had the thirty pieces of silver on his person wrapped tightly so that they would not clink. But he knew no peace. The Enemy had entered into him, but perhaps the friend of Christ was not yet dead in his heart. To see Him there in the midst of His friends, calm but with the pensive expression of the man who is the only one who knows a secret, who is aware of a crime, a betrayal; to see him, still at liberty in the company of those who loved Him, still alive, all the blood still in His veins under the delicate protection of the skin—and yet those bargainers who had paid the price refused to wait any longer, the affair was arranged for that very night—and they were only waiting for Judas to act. But suppose Jesus, who must know all, had denounced him to the eleven? And suppose they, to save their Master, had thrown themselves on Judas to bind him, perhaps to kill him? Judas began to feel that to betray Christ to His death was perhaps not enough to save himself from the death, which he so greatly feared and yet which was near upon him. Such great love had not up to that moment been expressed by any words of Christ to His friends: such a longing for the day of perfect union, for the feast, so ancient and destined to so great a direction. They knew that He loved them; but until this evening their poor bruised hearts had not felt how heartbreaking His love was. He knew that this evening was the last break of rest and cheer before His death, and yet He had desired it fervently as though it were a benefit, with that fervor which is the mark of passionate souls, souls on fire, loving souls, those who battle for the love of victory, who en­dure all things for a high prize. He had passionately desired to eat this Passover with them. He had eaten others: He had eaten with them thousands of other times, seated in boats, in their friends' houses, in strangers' houses, in rich men's houses, or seated beside the road, in mountain pastures, in the shadow of bushes on the shore; and yet for so long He had fervently desired to eat with them this supper which was the last! The blue skies of happy Galilee, the soft winds of the spring just passed, the sun of the last Passover, the waving branches of His triumphant entry, did He think of them now? Now He saw only His first friends and His last friends, the little group destined to be diminished by treachery, and dispersed by cow­ardice. Still, for a time they were there about Him in the same room: the upper room, at the same table, sharing with Him the same overwhelming grief, but sharing also the light of a super­natural certainty. Up to that day He had suffered, but not for Himself; He had suffered because of His passionate desire for this nocturnal hour, when the air was already heavy with the tragedy of fare­wells. And, when He had thus told them how great was His love: a threefold love, Christ's face, soon to be battered, shone with that noble sadness which is so strangely like joy. Only two creatures in the world knew the secret of Judas: Christ and the traitor. Sixty generations of Christians have racked their brains over it, but the man of Iscariot, although he has drawn after him crowds of disciples, remains stubbornly incomprehensible. His is the only human mystery that we encounter in the Gos­pels. We can understand without difficulty the depravity of Herod, the rancor of the Pharisees, the revengeful anger of Annas and Caiaphas, the cowardly laxity of Pilate. But we have no evidence to enable us to understand the abomination of Judas. The Four Gospels tell us too little of him and of the reasons which induced him to sell his King. "Then entered Satan into Judas." (Luke 22:3) But these words are only the definition of his crime. Evil took possession of his heart, therefore it came suddenly. Before that day, perhaps during the Supper at Bethany (John 13:27), Judas was not in the power of the Adversary. But why suddenly did he throw himself into that power? Why did Satan enter into him and not into one of the others? Thirty pieces of silver are a very small sum, especially for a greedy man. In modern coinage it would amount to about twenty dollars, and, granting that its effective value or as the economists say its buying power were in those days ten times greater, two hundred dollars seem hardly a sufficient price to induce a man whom his companions describe as grasp­ing to commit the basest betrayal recorded by history. It has been said the thirty pieces of silver was the price of a slave. But the text of Exodus states on the contrary that thirty shekels was the compensation to be paid by the owner of an ox which had injured a slave. The cases are too far apart for the doctors of the Sanhedrin to have had this early prece­dent in mind. The most significant indication is the office which Judas held among the Twelve. Among them was Matthew, a former tax-collector, and it would have seemed almost his right to handle the small amount of money necessary for the expenses of the brotherhood. In place of Matthew, we see the man of Iscariot as the depository of the offerings. Money is treacherous and saturated with danger. The mere handling of money, even if it belongs to others, is poisonous. 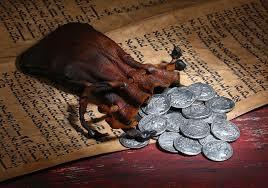 It is not surprising that John said of Judas the thief, that he, "having the bag, took away what was put therein." (John 12:6) And yet it is not probable that a man greedy for money would have stayed a long time with a group of such poor men. If he had wished to steal, he would have sought out a more promising position. And if he had needed those miserable thirty pieces of silver, could he not have procured them in another way, by running away with the purse, without needing to propose the betrayal of Jesus to the High Priests? These common-sense reflections about a crime so extraordi­nary have induced many to seek other motives for the infamous transaction. A sect of heretics, the Cainites, had a legend that Judas sorrowfully accepted eternal infamy, knowing that Jesus through His will and the will of the Father was to be be­trayed to His death that no suffering might be lacking in the great penance and punishment. A necessary and voluntary instrument of the Redemption, Judas was according to them a hero and a martyr to be revered and not reviled. According to others, Iscariot, loving his people and hoping for their deliverance, perhaps sharing the sentiments of the Zealots, had joined with Jesus, hoping that he was the Messiah such as the common people then imagined Him: the King of the revenge and restoration of Israel. When little by little, in spite of his slowness of comprehension, it dawned on him from the words of Jesus that he had fallen in with a Messiah of quite another kind, he delivered Him over to His enemies to make up for the bitterness of his disappointment. But this fancy to which no text either canonical or apocryphal gives any support is not enough to explain Christ's betrayer: he could have deserted the Twelve and gone in search of other company more to his taste, which certainly, as we have seen, was not lacking at that time. Others have said that the reason is to be sought in his loss of faith. Judas had believed firmly in Jesus, and then could believe no longer. What Jesus said about His end close at hand, the threatening hostility of the capital, the delay of His victorious manifestation, had ended by causing Judas to lose all faith in Him whom he had followed up till then. He did not see the Kingdom approaching and he did see death approaching. Mingling with the people to find out the tem­per of the day, he had perhaps heard a rumor as to the de­cisions of the meeting of the Elders and feared that the San­hedrin would not be satisfied with one victim alone, but would condemn all those who had long followed Jesus. Overcome by fear—the form which Satan took to enter into him—he thought he could ward off the danger and save his life by treachery; unbelief and cowardice being thus the embarrassing motives of his shame. An Englishman celebrated as an opium-eater, has thought out a new apology for the traitor which is the opposite of this theory. His idea is that Judas believed: he even believed too absolutely. He was so persuaded that Jesus was really the Christ that he wished by giving Him up to the Tribunal to force Him finally to show Himself as the legitimate Messiah. So strong was his hope that he could not believe that Jesus would be killed. Or if He really were to die, he knew with entire certainty that He would rise again at once to sit on the right hand of the Father as King of Israel and of the world. To hasten the great day, in which the Disciples were at last to have the reward for their faithfulness, Judas, secure in the intangibility of his Divine Friend, wished to force His hand and, putting Him face to face with those whom He was to cast out, to compel Him to show Himself as the true Son of God. According to this theory the action of Judas was not a betrayal but a mistake due to his misunderstanding of the real meaning of his Master's teaching. He did not betray therefore through greed or revengefulness or cowardice, but through stupidity. On the other hand others give revenge as the reason. No man betrays another without hating him. Why did Judas hate Jesus? They remember the dinner in the house of Simon and the nard of the weeping woman. The reproof for his stinginess and hypocrisy must have exasperated the disciple who perhaps had been reproved for these faults on other occasions. To the malice of this rebuff was added envy which always flourishes in vulgar souls. And as soon as he could re­venge himself without danger, he went to the palace of Caiaphas. But did he really think that his denunciation would bring Jesus to His death or did he rather suppose that they would content themselves with flogging Him and forbidding Him to speak to the people? The rest of the story seems to show that the condemnation of Jesus unnerved him as a terrible and unexpected result of his kiss. Matthew describes his de­spair in a way to show that he was sincerely horrified by what had happened through his fault. The money which he had pocketed became like fire to him: and when the priests refused to take it back he threw it down in the Temple. Even after this restitution he had no peace and hastened to kill himself. He died on the same day as his victim. Luke in the Acts sets down in another way the evil end of Judas, but the Chris­tian tradition fancies the story of his remorse and suicide. In spite of all the unraveling of unsatisfied minds, mys­teries are still tangled about the mystery of Judas. But we have not yet invoked the testimony of Him who knew better than all men, even better than Judas, the true secret of the betrayal. Jesus alone could give us the key to the mystery; Jesus Who saw into the heart of Judas as into the hearts of all men, and Who knew what Judas was to do before he had done it. Judas needed salvation and refused to be saved. Jesus chose Judas to be one of the Twelve and to carry the gospel to the world along with the others, even though He knew his final choices. Would He have chosen him, kept him with Him, beside Him, at His table, for so long a time if He had believed him to be an incurable criminal? Would He have confided to him what was dearest in the world to Him, the most precious thing in the world—the prophecy of the Kingdom of God? Obviously, the answer is yes. He loved even His enemies. Thus the testimony of Him who was betrayed increases our bewilderment instead of raising the veil of the dreadful secret. He knew that Judas was a thief and He gave him the purse: He knew that Judas was evil and He confided to him a treasure of truth infinitely more precious than all the money in the universe: He knew that Judas was to betray Him and He made him a participant of His divinity, offering him the mouthful of bread and the sip of wine; He saw Judas leading His assail­ants upon Him and He still addressed him as at first, as He always had, with the holy name of friend. The mystery of Judas is doubly tied to the mystery of the Redemption and we lesser ones shall never solve it. No analogy can give us light. Joseph also was sold by one of his brothers, who, like Iscariot, was called Judas, and was sold to Ishmaelite merchants for twenty pieces of silver, but Joseph, who prefigured Christ, was not sold to his enemies, was not sold to be put to death: and as a compensation for his betrayal, great good fortune was his and he became so wealthy that he could enrich his father, and so generous that he could pardon even his brothers. Jesus was not only betrayed, but sold, sold for a price, sold for a small price, bought with coins. He was the, object of a bargain, a bargain struck and paid. Judas, the man of the purse, the cashier, did not present himself as an accuser, did not offer himself as a cut-throat, but as a merchant doing business in blood. *The Jews, who understood bartering for blood, daily cutting the throats of victims, and quartering them, butchers of the Most High, were the first and last cus­tomers of Judas. *The sale of Jesus was the first business dune by the merchant, just entering business; not very big business, it must be admitted, but a real, true commercial transaction, a valid contract of buying and selling, verbal, but honestly lived up to by the contracting parties. If Jesus had not been sold, something would have been lacking to the per­fect shame of His penance and punishment: if He had been sold for more money, for three hundred shekels instead of thirty, for gold instead of silver, the disgrace would have been diminished, slightly, but still diminished. It had been destined to all eter­nity that He should be bought, but bought with a small sum. In order that an infinite, supernatural but communicable value should be made available to men, it was needful to buy it with a small sum, and with a sum of metal, which has no real value. Did Jesus bought by others do also the same, He who wished to redeem with the blood of only one man all the blood shed on the earth from the days of Cain to Caiaphas? And if He had been sold as a slave, as so many living souls were sold in those days in the public places, if He had been sold as redeemable property, as human capital, as a living tool for work, the dishonor would have been almost nothing, and the Redemption put off. But He was sold as the calf is sold to the butcher, as the innocent animals which the butcher buys to kill, to sell again, and to distribute in morsels to flesh-eaters. 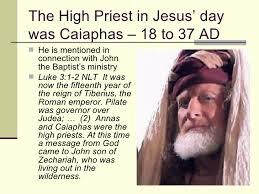 The sacred butcher, Caiaphas, never in his most successful days had a victim so phenomenal. For more than two thousand years Christians have been fed on that victim, and it is still intact, and those who feed are not gratified. Every one of us has contributed his quota, an infinitesimal quota, to buy that victim from Judas. We have all contributed towards the sum for which the blood of the Redeemer was bought: Caiaphas was only our agent. The field of Aceldama, bought with the price of blood, is our inheritance, our property. And this field has grown mysteriously larger, has spread over half the face of the earth: whole populous cities, paved, lighted, well-ordered cities, of shops and brothels, shine resplendent on it from north to south. And that the mystery should be even greater, Judas' money, also multiplied by the betrayals of so many centuries, by the accumulation of interest, has become incalculably great. Nothing is as fruitful and bountiful as blood. The statisticians, those fortune-tellers of modern days, can bear witness to the fact that all the courts of the Temple could not contain the money produced from that day to this by those thirty pieces of silver cast down there in a delirium of remorse, by the man who sold his God. The Sanhedrin was the assembly of the chiefs, the supreme council of the aristocracy which ruled the capital. It was com­posed of the priests jealous of the patrons of the Temple which gave them their power and their stipends: of the Scribes responsible for preserving the purity of the law and of tradi­tion: of the Elders who represented the interests of the mod­erate, moneyed middle-class. They were all in accord that it was essential to take Jesus on false pretenses and to have Him killed as a blasphemer against the Sabbath and the Lord. Only Nicodemus attempted a de­fense, but they were able quickly to silence him. "What do we? For this man doeth many miracles. If we let him thus alone, all men will believe on him: and the Romans shall come and take away both our place and nation." (John 11:47-48) It is the Rea­son of State, the Salvation of the Fatherland which political cliques always bring out to screen with legality and ideality the defense of their particular profit. Caiaphas, who that year was High Priest, settled their doubts with the maxim which has always justified in the eyes of the world the immolation of the innocent. "Ye know noth­ing at all nor consider that it is expedient that one man should die for the people and that the whole nation perish not." (John 11:49-50) This maxim in Caiaphas' mouth, and on this occasion, and for what it meant, was infamous, and hypocritical like all the speeches made by the Sanhedrin. But transposed into a higher mean­ing and transferred into the Absolute, changing nation into humanity, the President of the circumcised noble class was ex­pounding a principle which Jesus Himself had accepted and which has become under another form the crucial mystery of Christianity. Caiaphas did not know—he who had to enter alone into the Holy of Holies to offer up to Jehovah the sins of the people—how much his words, coarse in expression and cynical in sentiment as they were, were in accord with his Victim's thought. The thought that only the righteous can pay for injustice, that only the perfect can discount the crimes of the base, that only the pure can cancel the debts of the shameful, that only God in His infinite magnificence can expiate the sins which man has committed against Him; this thought, which seems to man the height of madness exactly because it is the height of divine wisdom, certainly did not flash out in the corrupt soul of the Sadducee when he threw to his sixty accomplices the fabricated argument destined to silence their last remorse. Caiaphas, who together with the crown of thorns and the sponge of vinegar was to be one of the instruments of the Passion, did not im­agine in that moment that he was bearing witness solemnly, though involuntarily, to the divine tragedy about to begin. And yet the principle that the innocent can pay for the guilty, that the death of one man can be salvation for all, was not foreign to the consciousness of ancient peoples. The heroic myths of the pagans recognize and celebrate voluntary sacrifices of the innocent. They record the example of Pilades, who offered himself to be punished in place of the guilty Orestes; Macaria of the blood of Heracles, who saved her brother's life with her own; Alcestis, who died that she might avert from her Admetus the vengeance of Artemis; the daughters of Erechtheus, who sacrificed themselves that their father might escape Neptune's blows. The old King Codrus, who threw himself into the Ilissus, in order that his Athenians might be victorious; and Decius Mus and his sons, who con­secrated themselves to the Manes that the Romans might triumph over the Samnites; and Curtius, who, fully armed, cast himself into the gulf for the salvation of his country; and Iphigenia, who offered her throat to the knife that Agamem­non's fleet might sail safely towards Troy. At Athens during the Thargelian feast two men were killed to save the city from divine wrath; Epimenides the Wise, to purify Athens, profaned by the assassination of the followers of Cylon, had recourse to human sacrifice over the tombs; at Curium, in Cyprus, at Terracina, at Marseilles, every year a man threw himself into the sea as payment for the crimes of the com­munity, a man regarded as the Savior of the people. But these sacrifices, when they were spontaneous, were for the salvation of one being alone, or of a restricted group of men; when they were enforced they added a new crime to those they were intended to expiate; they were examples of individual affection or of superstitious crimes. No man had yet appeared who would take upon his head all the sins of men, a God who would imprison Himself in the abject wretchedness of flesh to save all the human race and to give it the power to ascend from baseness to sanctity, from earthly humiliation to the Kingdom of Heaven. The perfect man, who takes upon himself all imperfections, the pure man who burdens himself with all shames, the righteous man who shoulders the unrighteousness of all men, had ap­peared under the aspect of a poor fugitive from justice in the day of Caiaphas. He who was to die for all, the Galilean work­ing-man who was disquieting the rich and the priests of Jerusa­lem, was there on the Mount of Olives only a short distance from the Sanhedrin. The Seventy, who knew not what they did, who did not know that they were obeying the will of the very man they were persecuting, decided to have Him captured before the Passover; but because they were cowardly, like all men of possessions, one thing restrained them, the fear of the people who loved Jesus. They consulted that they might take Jesus by restraint and kill Him. But they said, "Not on the feast day lest there be an uproar among the people." (Matt. 26:5; Mark 14:2) To solve their difficulty, by good fortune, there came to them the day after one of the Twelve, he who held the purse, Judas Iscariot. 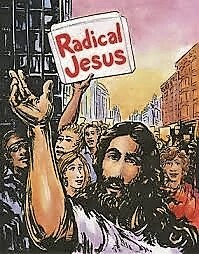 Jesus brought radical changes that would be even less received today, let alone when He walked the earth. Too many preachers would lose their means of riches. While Jesus was condemning the Temple and Jerusalem, those maintained by the Temple and the lords of Jerusalem were preparing His condemnation. *To have an idea of the hatred which the upper classes of Jerusalem felt towards Jesus, priestly hatred, scholastic hatred and commercial hatred, we must remember that the Holy City apparently lived by faith, but in reality on the Faithful. Only in the Jewish metropolis could valid and acceptable offerings be made to the Old God, and therefore every year, especially on great feast days, streams of Israelites poured in there from the Tetrarchies of Palestine and from all the provinces of the Empire. The Temple was not only the one legitimate sanctu­ary of the Jews, but for those who were attached to it and for all the others who lived at its feet, it was the great nourishing breast which fed the Capital with the products of the victims, the offerings, the tithes and, above all, with the profits ac­companying the continual influx of visitors. Josephus says that at Jerusalem on special occasions there were gathered to­gether as many as three million pilgrims. *The stationary population depended all the year round on the Temple: business for the animal-sellers, dealers in foods, money-changers, inn-keepers, and even artisans depended on the fortunes of the Temple. The priestly class, which without the Levites (and there were a great crowd of them) numbered in Christ's lifetime twenty thousand descendants of Aaron—got their living from the tithes in kind, from the taxes of the Temple, from the payments for the first-born—even the first­born of men paid five shekels a head—and got their food from the flesh of the sacrificial animals, of which only the fat was burned. They were the ones who had the pick of herds and crops; even their bread was given them by the people, for the head of every Jewish family was obliged to hand over to the priests the twenty-fourth part of the bread which was baked in his house. Many of them, as we have seen, made money on the raising of the animals which the Faithful were obliged to buy for their offerings; others were associated with money-changers, and it is not impossible that some of them were really bankers, because people readily deposited their savings in the strong-boxes of the Temple. *A network of self-interest thus bound to the Herodian edifice all the inhabitants of Jerusalem, down to the vendors at fairs and the sandal-makers. The priests lived on the Temple and many of them were merchants and rich men: the rich needed the Temple to increase their profits and keep the com­mon people respectful: the merchants did business with the rich people who had money to spend, with the priests who were their associates and with the pilgrims from every part of the world drawn towards the Temple: the working men and the poor lived from the scraps and leftovers which fell from the tables of the rich, the priests, the merchants and the pilgrims. *Religion was thus the greatest and perhaps the only business in Jerusalem: anyone who attacked religion, its representatives, and its visible monument (which was the most famous and fruitful seat of religion), was necessarily considered an enemy of the people of Jerusalem, and especially of the prosperous and well-to-do. Jesus with His Gospel threatened directly the positions and fees of these classes. If all the prescriptions of the Law were to be reduced to the practice of love, there would be no more place for the Scribes and Doctors of the Law who made their living out of their teachings. If God did not wish animal sac­rifices and asked only for purity of soul and secret prayer, the priests might as well shut the doors of the Sanctuary and learn a new profession: those who did business in oxen and calves and sheep and lambs and kids and doves and sparrows would have seen their business slacken and perhaps disappear. If to be loved by God you needed to transform your life, if it were not enough to wash your drinking-cups and promptly pay your tithes, the doctrine and the authority of the Pharisees would be reduced to nothing. If in short the Messiah had come and had declared the Primacy of the Temple fallen and sacrifices useless, the capital of the cult would, from one day to the next, have lost its prestige and with the passage of time would have become an obscure settlement of impoverished men. Things haven’t changed in our day – only the actors. As a matter of course, Jesus, who preferred fishermen, if they were pure and loving, to members of the Sanhedrin; who took the part of the poor against the rich, who valued ignorant children more than Scribes, blear-eyed over the mysteries of the Scriptures, drew down on His head the hatred of the Levites, the merchants and the Doctors. The Temple, the Academy and the Bank were against Him: when the victim was ready they would call the somewhat reluctant, but nevertheless ac­quiescent Roman sword, to sacrifice Him to their peace of mind. For some time the life of Jesus had not been safe. The Pharisees said that Herod had sought to kill Him from the days of His last sojourn in Galilee. Perhaps it was the knowl­edge of this that sent Him into Caesarea Philippi, outside Gali­lee, where He predicted His passion. When He came back to Jerusalem the High Priests, the Pharisees and the Scribes gathered about Him to lay traps for Him and take down His words. The uneasy and embittered crowd set on His track spies, destined to become false wit­nesses in a few days. If we are to believe John, the order was given to certain guards to capture Him, but they were afraid to lay their hands upon Him. The attack with the whips on the animal-sellers and money-changers, the loud invectives against the Scribes and Pharisees, the allusion to the ruin of the Temple, made the cup run over. Time pressed; Jerusalem was full of foreigners and many were listening to Him. Some disorder, some confusion might easily spring up, perhaps an up­rising of the provincial crowds who were less attached to the privileges and interests of the metropolis. The contagion must be stopped at the beginning and there seemed to be no better way than to take away the blasphemer. The wolves of the Altar and of business arranged a meeting of the Sanhedrin to reconcile law with assassination. When the end of the god-killing people, the partial and local end­ing, has taken place, according to the sentence of Christ, the statues of the Temple ware to be scattered among the ruined walls and the faithful of the Temple will meet their death by torture and be scattered among other nations. Then shall the Son of Man come on the clouds of Heaven, preceded by darkness, an­nounced by angels' trumpets? Jesus says that no one can be sure of that day of His coming. The Son of Man is likened to lightning which flashes suddenly in the east, to a thief who comes by stealth in the night, to a master who has gone far away and returns suddenly to take his servants by surprise. We must be vigilant and ready. Purify your hearts, be­cause you do not know when He may come; and woe to him who is not ready to appear before Him. Take heed to your­selves lest at any time your hearts be overcharged with gluttony and drunkenness, and the cares of this life; and so that day come upon you unawares, for as a snare shall it come upon all them that dwell on the face of the whole earth. But if Jesus does not announce the day, He tells us what things must be fulfilled before that day. These things are two: the Gospel of the Kingdom shall be preached to all the na­tions by a faithful remnant of Jews named the 144,000 and the Gentiles shall no longer tread down Jerusalem. These two conditions will someday be fulfilled as the great day approaches. Today the Muslims attempt to annihilate the Jewish State. Ac­cording to the words of Hosea, the end of the time shall be near when the sons of Israel, left so long without altar and without King, shall be converted to the Son of David and shall turn, trembling, towards God's goodness. And that will only happen after great tribulation. If the words of the second prophecy are true, as the words of the first prophecy also to be true, the Second Com­ing cannot be far distant. Once again in these years nations will rise against nations, the earth will quake, destroying many lives, and pestilences, famines and seditions will have deci­mated nations. For more than two centuries the words of Christ have been translated and preached into many languages. Soldiers who believe in Christ, although they are not all faithful to the heirs of Peter, are in command over that city, which after its downfall was in the power of the Romans, the Persians, the Egyptians and the Turks. And still men do not think of Jesus and His promise. They live as if the world were always go­ing to continue as it has been, and they work and mortify themselves only for their earthly and carnal interests. The same thing happens in our day in spite of the wars and the pestilences which have cut down millions of lives in a few years. People eat and drink, marry and have children, buy and sell, write and play. And no one thinks of the Divine Thief who will come suddenly in the night, no one waits for the Real Master, who will return unexpectedly, no one looks at the sky to see if lightning is flashing from the east. The apparent life of the living is like the delirious dream of a fatal fever. They seem awake because they hurry about without rest, occupied by those possessions which are clay and poison. They never look up to Heaven—they fear only their brothers. Perhaps they are waiting to be awakened in the last hour by those dead of old, who will rise up at the approach of the Resurrected Christ. 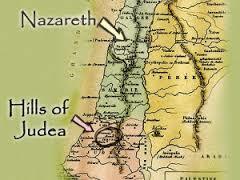 The earthquake which shook Jerusalem on the Friday of Golgotha was like a signal for the Jewish outbreak. For forty years the country of the god-killers had no peace, not even the peace of defeat and slavery, up to the day, when of the Temple not one stone was left upon another. Pilate, Cuspius Fadus and Agrippa had been forced to dis­perse the bands of the false Messiahs. Under the Roman procurator, Tiberius Alexander, the conflict began with the raging sect of the Zealots and ended with the crucifixion of the leaders, James and Simon, sons of Judas the Galilean. The procurator, Ventidius Cumanus, 48-52, did not have a day's peace: the Zealots and their allies, the Sicarii, did not lay down their arms. Under the procurator Felix the disorders knew no truce: under Albinus the flames of the revolt flared out more boldly. Finally at the time of Gessius Florus, 64-66, the last procurator of Judea, the fire, which for some time had been flickering, spread all over the country. The Zealots took possession of the Temple: Florus was obliged to flee, Agrippa, who went as peace-maker, was stoned, Jerusalem fell into the power of Menahem, another son of Judas the Galilean. Zealots and Sicarii now in power massacred the non-Jews and also those among the Jews who seemed tepid to their fanatic eyes. The holy place during the great rebellion occupied by the Sicarii had become a refuge for assassins, and the great courts were soaked with blood, even with priestly blood. And the Holy City underwent desolation, when in December of 66 Cestius Gallus, at the head of forty thousand men, came to crush the insurgents, camped around Jerusalem with those imperial insignia which the Jews held in horror as idolatrous, and which through a concession of the Emperors had not till then been introduced into the city. But Cestius Gallus, finding more resistance than he had an­ticipated, retreated and the retreat was turned into flight to the great jubilation of the Zealots, who saw in this victory a sign of divine help. In those days, between the first and second assault, the Christians of Jerusalem, obeying the prophecy of Jesus, fled to Pela, beyond the Jordan. But Rome had no intention of giving way to the Jews. The command of the punitive expedi­tion was given to Titus Flavius Vespasian, who, gathering an army at Ptolemais in 67, advanced against Galilee and con­quered it. While the Romans were taking up winter quarters, John of Gischala, one of the heads of the Zealots, having taken refuge in Jerusalem at the head of a band of Idumeans, over­turned the aristocratic government and the city was full of up­roar and blood. Vespasian, going to Rome to become Emperor, gave the command to his son Titus, who on Easter Day in the year 70, came up before Jerusalem and began the siege. Horrible days began. Even at the height of danger, the Zealots, car­ried away by wild frenzy, quarreled among themselves, and split up into factions, who fought for the control of the city. John of Gischala occupied the Temple, Simon Bar Giora the city, and their partisans cut the throats of those whom the Romans had not yet killed. In the meantime Titus had taken possession of two lines of wall and of a part of the city: on the fifth of July the Tower of Antonia fell into his power. To the horror of fratricidal massacre and of the siege was added that of hunger. The famine was so great that mothers were seen, so says Josephus, to kill their children and eat them. On the 10th of August the Temple was taken and burned, the Zealots succeeding in shutting themselves up into the upper city, but conquered by hunger they were obliged to surrender on the 7th of September. The prophecies of Jesus had been fulfilled: the city by Titus' order was laid waste: and of the Temple already swept by fire, there remained not one stone upon another. The Jews who had survived hunger and the swords of the Sicarii were massacred by the victorious soldiery. Those who still remained were deported into Egypt to work in mines, and many were killed for the amusement of the crowd in the Amphithea­ters of Caesarea and Berytus. Some hundreds of the handsomest were taken prisoners to Rome to figure in the triumphal procession of Vespasian and Titus, and there Simon Bar Giora and Othbr heads of the Zealots were executed before the idols which they hated. "Verily I say unto you, this generation shall not pass, till all these things be fulfilled." It was the seventieth year of the Christian era and His generation had not yet gone down into the tomb when these things happened. One at least of those who heard Him on the Mount of Olives, John, was witness of the destruction of Jerusalem and of the ruin of the Temple. Within the destined time the words of Jesus were fulfilled, syllable by syllable, with atrocious exactness, by a story of blood and fire. But when shall these things come to pass? (Matt. 24:3) These are the signs, this is the manner in which it shall happen. But the time? Shall we be still here, we who are now under the light of the sun? Or shall the grandchildren of our grandchildren see these events while we are dust and ashes under the earth? Up to the very last, the Twelve understand as little as twelve stones. They have the truth before them and they do not see it: they have the Light in their midst and the Light does not reach them. If only they had been among stones like diamonds which send back, divided into reflected rays, the light which strikes them. But these twelve men are rough stones, scarcely dug out of the darkness of the quarry, dull stones, opaque stones, stones which the sun can warm but not kindle, stones which are lighted from without but do not re­flect the splendor. They have not yet understood that Jesus is not a common diviner, a student of the Chaldeans and of the Etruscans, and that He has nothing to do with the presumptu­ous pretensions of astrology. They have not understood that a definitely dated prophecy would not work on men to create a conversion which needs perpetual vigilance. Perhaps they have not even understood that the apocalyptic sayings revealed on the Mount of Olives form a double prophecy which refers to two events, different and distant from each other. Perhaps these provincial fishermen, for whom a lake was the sea and Judea was the universe, confused the end of the Hebrew people with the end of the human race, the punish­ment of Jerusalem with the second coming of Christ. But the discourse of Jesus, although it is presented as one unit in the synoptic Gospels, shows us two distinct prophecies. There are two parts to His Second Coming. The first announces the end of the Jewish kingdom, the pun­ishment of Jerusalem, the destruction of the Temple; the sec­ond the end of the old world, the reappearance of Jesus, the judgment of the merciful and of the merciless, the beginning of the New Kingdom. The first prophecy given is close at hand—this generation shall not pass before these things shall have arrived—and is local and limited, since it is concerned only with Judea and especially with Judea's metropolis. The hour and the day of the second are not known because certain events, slow to take place but essential, must precede this end, which, unlike the other, will be universal. A few years after Jesus' death the signs of the first prophecy began to be seen. False prophets, false Christs, false apostles, swarmed in Judea, as snakes come out of their holes when dog-days arrive. Before Pontius Pilate was exiled, an impostor showed himself in Samaria, who promised to recover the sacred vessels of the Tabernacle hidden by Moses on Mount Gerizim. The Samaritans believed that such a discovery would be the prelude to the coming of the Messiah, and a great mob gath­ered threateningly on the mountain until it was dispersed by Roman swords. Under Cuspius Fadus, the procurator who governed from 44 to 66, there arose a certain Theudas, who gave himself out for a great personage and promised great prodigies. Four hundred men followed him, but he was captured and decapi­tated, and those who had believed him dispersed. After him came an Egyptian Jew, who succeeded in gathering four thou­sand desperate men, and camping on the Mount of Olives an­nouncing that at a sign from him the walls of Jerusalem would fall. The Procurator Felix attacked him and drove him out into the desert. In the meantime, in Samaria, arose the notorious Simon Magus, he who bewitched people with his prodigies and in­cantations and announced himself as the Power of God. This man, seeing the miracles of Peter, wished to turn Christian, im­agining that the Gospel was only one of those Oriental mys­teries into which an initiation gave new powers. Repelled by Peter, Magus became the father of heresies. He believed that Enncea first came from God and that it is now imprisoned in human beings: according to him Enncea (or, the first concep­tion of the Deity), was incarnate in Helen of Tyre, a prosti­tute who followed him everywhere; and faith in him and in Helen was a necessary condition of salvation. Cerinthus, the first Gnostic, was one of his followers, against whom John wrote his Gospel—and Menander, who boasted that he was Savior of the world. Another Elxai mixed up the old and new Covenant, told stories of many incarnations besides those of Christ, and swaggered about with his followers, boasting of his magic powers. Hegesippus says that a certain Tebutis through jealousy of Simon, second Bishop of Jerusalem, formed a sect that recognized Jesus as Messiah, but in everything else was faithful to the old Judaism. Paul, in the Epistle to Timothy, puts the "Saints" on guard against Hymenaeus, and Phyletus and Alexander. For such are false prophets, deceitful workers transforming themselves into the apostles of Christ, "who twisted truth and sowed the evil seed of heresy in the early church." A Dositheus had himself called Christ, and a certain Nicholas began with his errors the sect of the Nicolaitans, condemned by John in the Apocalypse: and the Zealots fomented incessant tumults, claiming that the Ro­mans and all the heathen should be driven out in order that God might return to triumph with His own people. The second sign, the persecution, arrived promptly. The Disciples had scarcely begun to preach the Gospel in Jerusalem when Peter and John were thrown into prison: freed, they were captured again, and beaten and commanded to speak no more in the name of Jesus. Stephen, one of the most ardent of the neophytes, was taken by the priests outside the city and stoned. Under the rule of Agrippa the tribulations began afresh. In 42 Herod's descendant had James the Greater, the brother of John, killed by the sword; and for a third time Peter was imprisoned. In 62 James the righteous, called the brother of Our Lord, was thrown from the terrace of the Temple and killed. In 50 Claudius exiled the Christian Jews from Rome, "Impulsore Chrestus tumultuantes." In 58, on account of the conversion of Pomponia Graecina, the war against converts began in the capital of the Empire. In 64 the burning of Rome, desired and executed by Nero, was the pretext for the first great persecution. An innumerable multitude of Christians obtained their martyrdom in Rome and in the Provinces. Many were crucified: others wrapped in the "tunica molesta" lighted up the nocturnal amusement of the Caesar: others wrapped in animal skins were given as food to dogs: many, en­forced actors in cruel comedies, made a spectacle for amphi­theaters and were devoured by lions. Peter died on the cross, nailed head downward. Paul ended under the ax a life which since his conversion had been one long torment. Ten years before his death in 57 he had been flogged five times by the Jews, beaten three times with rods by the Romans, three times imprisoned, three times shipwrecked, stoned and left for dead at Lystra. The greater part of the other Disciples met with similar fates. Thomas met a martyr's death in India, Andrew was crucified at Petras, and Bartholomew was crucified in Armenia. Simon the Zealot and Matthew, like their Master, ended their lives on the cross. Nor were there lacking wars and rumors of wars. When Jesus was killed, the "peace of Augustus" still existed, but very soon nations rise against nations and kingdoms against kingdoms. Under Nero the Britons rebel and massacre the Romans, the Parthians revolt and force the legions to pass under the yoke; Armenia and Syria murmur against foreign government; Gaul rises with Julius Vindex, Nero is near his end, the Spanish and Gallic legions proclaim Galba Emperor; Nero, fleeing from the Golden House, succeeds in being abject even in suicide. Galba enters Rome, but brings no peace; Nymphidius Sabinus at Rome, Capito in Germany, Clodius Macer in Africa, dispute the power with him. All are dissatisfied with him: on the 15th of January, 69, the Praetorians kill him and proclaim Otho. But the German legions had already proclaimed Vitellius and move on Rome. Conquered at Bedriacum Otho commits sui­cide, but Vitellius does not rule long either; the Syrian legions choose Vespasian, who sends Antonius Primus into Italy. The followers of Vitellius are defeated at Cremona and at Rome; Vitellius, the voracious hog, is killed on the 20th of December, 69. In the meanwhile insurrection breaks out in the north, with the Batavians, with Claudius Civilus, and the insurrection of the Jews is not stamped out in the east. In less than two years Italy is invaded twice, Rome taken twice, two Em­perors kill themselves; two are killed. And there are wars and rumors of wars on the Rhine and on the Danube, on the Po and on the Tiber, on the banks of the North Sea, at the feet of Atlas and of Tabor. The other afflictions announced by Jesus accompany in these years the upheaval of the Empire. Caligula the Mad complained because in his reign nothing horrible happened: he desired famines, pestilences and earthquakes. The degen­erate and incestuous epileptic did not have his wish, but in the time of Claudius a series of poor crops brought famine even to Rome. Under Nero pestilence was added to the famine, and at Rome alone in one autumn the treasury of Venus Libitina registered thirty thousand deaths. In 61 and 62 earthquakes shook Asia, Achaia, and Mace­donia: especially the cities of Hierapolis, Laodicea and Colossae were greatly damaged. In 63 it was Italy's turn: at Naples, Nocera and Pompeii the earth shook. All the Campagna was a prey to terror. And as if this were not enough, three years later, in 66, the Campagna was devastated by cloudbursts, which destroyed the crops and rendered more threatening the prospects of famine. And while Galba was entering Rome (68) the earth shook under his feet with a terrible roar. And we have had many more that have followed in our day with their distortions of Christ’s terms. We have heard of Hitler and his 1000 year reign. Thus begins the heady concept of the Third Reich, the Thousand-Year Reich, completing the trio of the First Reich (the Holy Roman Empire) and the Second Reich (achieved by Bismarck for the Hohenzollern dynasty). In the event it will be the shortest of the three, lasting eleven years rather than a thousand. Jesus knew the weakness of the Disciples, their weakness of the spirit, and perhaps also of the flesh, and He puts them on their guard against two great perils in the end: fraud and martyrdom. These are the preliminary warnings: the order of the world shall he disturbed, the world, peaceful at the time when Christ pronounced these words, shall see man set against man, nation against nation, and the earth itself soaked with blood shall rise against men; shall tremble under their steps; shall cast down their houses; shall vomit out ashes, as if it cast out from the mouth of its mountains all its dead, and shall deny to the fratricides the food which ripens to gold every summer in the fields. And nature itself will show great disturbances from the Creator. Then when all this shall have come to pass, the punishment will come upon those people who would not be born again in Christ, who did not accept the Gospel; on the city which nailed its Lord upon Golgotha and persecuted His witnesses. This is the end of the first prophecy. Jerusalem shall be taken and destroyed and of the Temple, defiled by the abomi­nation of desolation, there shall remain not one stone upon another. This is great tribulation for the nation. 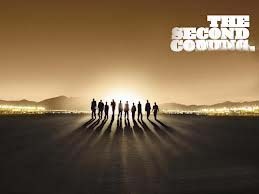 But Jesus has not said all, until now has not spoken of His second coming. This is the day of the Father, day of blackness in the Heav­ens and of terror on earth. But the day of the Son follows immediately after. He does not appear this time hidden in a stable, but on high in Heaven, no longer poor and wretched, but in power and splendor of glory. "And he shall send his angels with a great sound of a trumpet, and they shall gather together his elect from the four winds, from one end of heaven to the other." And when the celestial trumpets shall have awakened all those sleeping in the tombs, the irrevocable division shall be made. 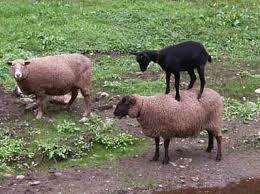 "And he shall set the sheep on his right hand, but the goats on his left. "Then shall the righteous answer him, saying, Lord, when saw we thee an hungered, and fed thee? or thirsty, and gave thee drink? "I was a stranger, and ye took me not in: naked, and ye clothed me not: sick, and in prison, and ye visited me not. "Then shall they also answer him, saying, Lord, when saw we thee an hungered, or athirst, or a stranger, or naked, or sick, or in prison, and did not minister unto thee? "Then shall he answer them, saying, verily I say unto you, Inasmuch as ye did it not to one of the least of these, ye did it not to me. Jesus, even in His glory as judge of the last Day, does not forget the poor and unhappy whom He loved so greatly during His life on earth. He came from the glories and riches of heaven to an earth He had cursed to appear as one of those "least" who hold out their hands at the doors and on whom the "great" look down. On earth, in the time of Tiberius, (Luke 3:1) He was the man who was hungering for bread and love, thirsting for water and martyrdom, who was like a stranger in His own country, not recognized by His own brothers, who stripped Himself to clothe those shaking with cold, who was sick with sorrow and suffering and no one comforted Him, who was imprisoned in the base prison of human flesh, in the narrow prison of earthly life. He was divinely hungering for souls, thirsting for faith, He was the stranger come from the inexpressible fatherland, de­fenseless before whips and insults, the Man sick with the holy madness of love. But on that great Day of final Judgment, He will not be thinking of Himself, as He did not think of Himself when He was a man among men. The Great Poor Man in the day of His glory will, as justice dictates, reward everyone with His infinite riches. He who has given a little life to the poor will have life forever; he who has left the poor in pain will himself be in pain forever. And then the bare sky will be peopled with other more powerful suns, with stars flaming more brightly in the heavens and there will be a new Heaven and a new Earth, and the Chosen will live not as we live now, like beasts, but in the likeness of angels.